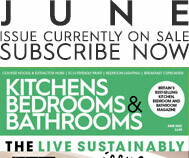 Kitchens Bedrooms & Bathrooms is the UK’s leading design, style and advice monthly periodical magazine for anyone interested in the latest kitchen, bedroom and bathroom trends, and has been the first choice for interiors inspiration, real homes and lifestyle projects for over 25 years. As well as exclusive in-depth looks at real projects in real houses, each month Kitchens Bedrooms & Bathrooms features extensive product guides explaining how to get the most out of the most important rooms in the house. From the latest technology in hobs, ovens and fridges, to the most beautiful showers, baths and brassware, Kitchens Bedrooms & Bathrooms is your essential helping hand. Along with its highly informative and expert content, Kitchens Bedrooms & Bathrooms is also beautifully designed. Every issue has hundreds of the highest quality images of the very latest products and designs from the leading brands across the market. All these features mean that while Kitchens Bedrooms & Bathrooms is an indispensible sourcebook for homeowners planning their own projects, it is also widely read and referenced by design professionals as a round-up of current home projects, as well as trends and products in the marketplace. 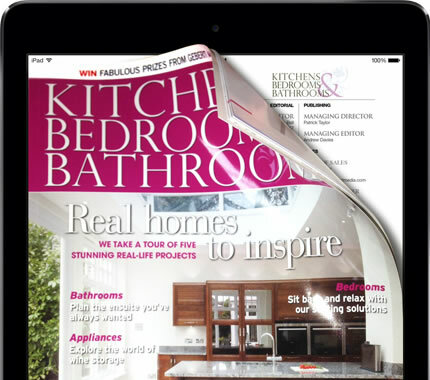 Kitchens Bedrooms & Bathrooms is simply the only magazine that combines the very best design, style, products, trends and advice in one package. It is available for both iPad and Android devices. Click the links below to download now.